Does Happiness Affect Our Health? Happiness is a great feeling! Whether you choose to equate it with optimism, joy, wellbeing, personal achievement or all of the above, it goes hand-in-hand with healthier habits. People who are in good spirits tend to eat better, exercise more frequently and get better sleep than those who are not. In turn, these healthy habits engage the hormones and neurotransmitters that influence our happiness. When our mood is down, we are more likely to skip workouts, do some heavy-duty emotional overeating and have difficulty sleeping. Beyond these rather common-sense associations, however, is an intriguing research that suggests there’s something more about happiness that makes us healthy. Let’s understand the 10 health benefits of being happy! 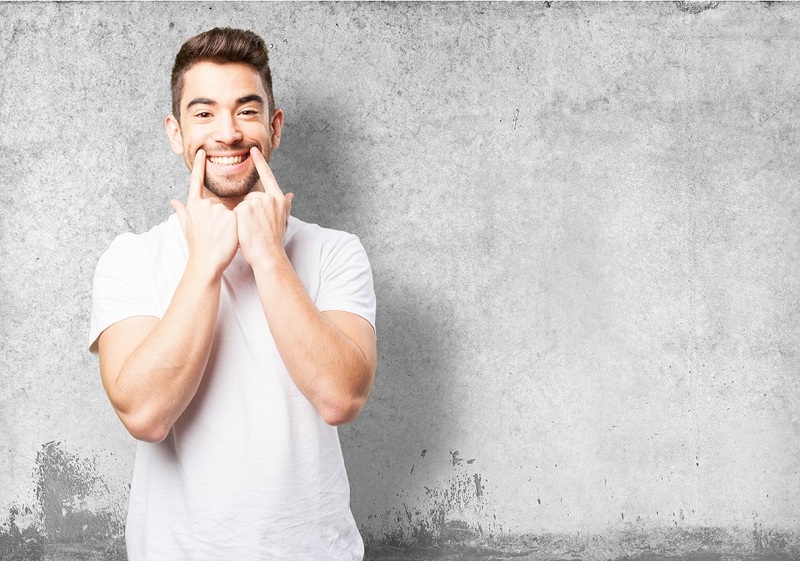 Science suggests that when we smile, whether we are happy or not, our mood is elevated. When we smile, even if it is a fake one, muscles of our face are stretched and this muscular movement triggers the brain to release the “Happy Hormones” which makes us feel good and boosts our mood. Our smile not only makes others happy but releases our own stress as well. Laughter is said to be the best medicine. When we laugh, we exhale more air out of our lungs over longer periods and inhale more oxygen. Our blood gets purified more rapidly and we feel more refreshed and rejuvenated. We also feel more relaxed as pure blood circulates in the brain. Some people practice laughter just to reap its health benefits. No wonder we find laughter clubs in almost all parks and open spaces. As per Psychoneuroimmunology, a new branch of science that studies the mind-body connection, the thoughts and emotions that we choose get instantly transformed into chemicals. These chemicals are, effectively, either self-administered injections of ‘slow poisons’ or of ‘healing medicines’ that eventually freeze into and become our physical states, i.e. Disease or Health. So let’s understand the role of the chemicals associated with Happiness. Do you know a grumpy person who always seems to be getting sick? That may be no coincidence. There is a link between happiness and a stronger immune system. Happy people have a high antibody response to any vaccine which is a sign of a robust immune system. There is reduction in the size of telomeres – the protective caps of our immune cells, which causes premature aging of the immune system in stressed out people. On the contrary happiness seems to be literally working on a cellular level to strengthen our immune system. Happiness predicts lower heart rate and blood pressure. There is a link between happiness and another measure of heart health: heart rate variability, which refers to the time interval between heartbeats and is associated with risk for various diseases. Happy people are less likely to develop coronary heart diseases. Happy people have lower levels of a blood protein called fibrinogen, following a stressful task. This molecule makes blood “sticky” and is vital in the clotting process, but high concentrations can signal future coronary heart disease problems. Unhappiness can be painful—literally. Painful and negative symptoms like muscle strain, dizziness, and heartburn and even arthritis and chronic pain seem to be lesser painful when we are happy. Mainly because we have more endorphins in our blood stream effectively acting as natural pain killers. Stress is not only upsetting on a psychological level but also triggers biological changes in our hormones and blood pressure. Happiness seems to temper these effects, or at least help us recover more quickly. Happiness also seems to carry benefits when stress is inevitable. The happier we are, the lower our cortisol levels. Cortisol is a stress hormone, of which high levels are linked to conditions such as type II diabetes and hypertension. And lower heart rates are associated with good cardiovascular health. Yes, Happiness can alter our genes! People with a deep sense of happiness and well-being have lower levels of inflammatory gene expression and stronger antiviral and antibody responses. This falls into the realm of epigenetics – changing the way our genes function by turning them off and on. Epigenetics doesn’t change the genetic code; it changes the readout of a single gene to create over 30,000 different proteins. When a human being encounters happiness and love, the growth genes are activated. When a human being encounters fear, the protection genes are activated. Thus, perfectly normal genes can result in cancer or death. Vice-versa, in the right happy environment, mutant genes won’t be expressed. In the end, the ultimate health indicator might be longevity—and here, especially, happiness comes into play. As we become older, the other condition that often afflicts us is frailty, which is characterized by impaired strength, endurance, and balance and puts us at risk of disability and death. However, happier people are less likely to be frail. In essence, true happiness – the kind rooted in virtue – can help prevent disease. It keeps inflammation – which is linked to numerous illnesses in the body, including heart disease – at bay while still fighting off infection and disease. That’s perhaps one reason why Mother Theresa lived till the age of 87 despite being around the sick and dying for so many years. Wow…indeed an awesome blog. Key to healthy life is happiness. Thanks Ritu for appreciating the blog. Yes happiness makes us healthy indeed. BE HAPPY BE HEALTHY ?? Excellent blog. Very motivating and full of positives. Appreciate your analysis and effort.